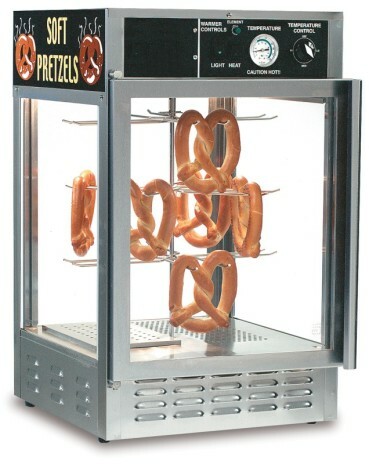 Humidified pretzel display merchandiser with rotating rack holds 30-40 jumbo pretzels. Display racks stop rotating when the door is open. Two 40 watt lights keep the interior of the pretzel merchandiser brightly illuminated and glass is removable for easy cleaning. Cap tube thermometer to keep you informed of the inside cabinet temperature. Your soft pretzel profits start with this pretzel warmer! 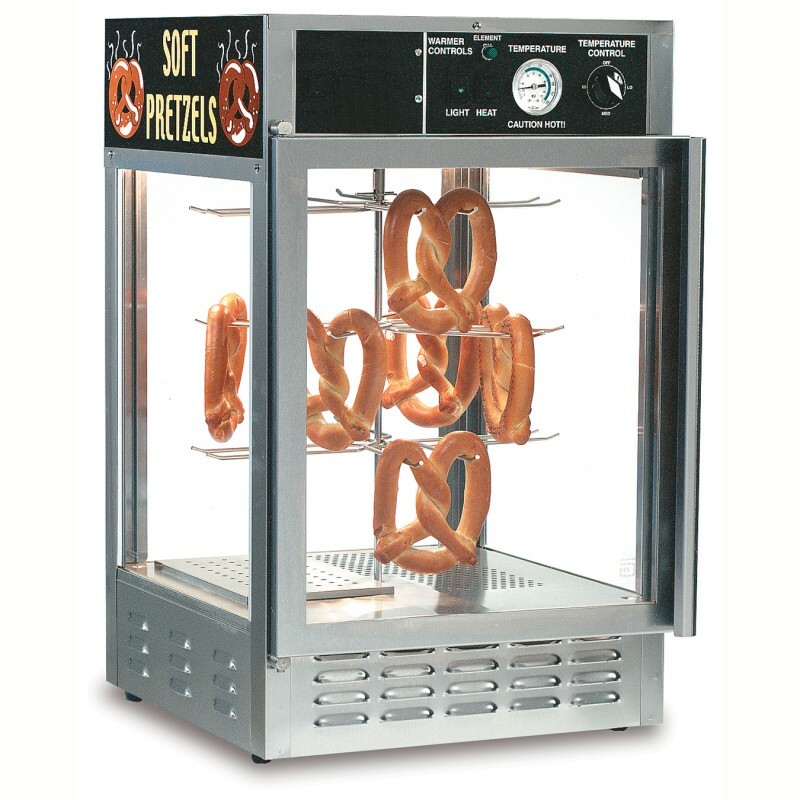 This humidified pretzel warmer is also available with double doors pass thru, ideal for self-serve lines with operator loading from other side. See item # 5551PRD. Dimensions 18″ W x 20-1/4″ D x 29-3/4″ H.
Electrical 120 volts, 990 watts, 8.25 Amps. UL and UL Sanitation Listed. Gold Medal Humidified Pretzel Warmer is covered by 2 year parts and 6 months labor warranty.